I’m a guest today at Babblings of a Bookworm where I discuss Gravelines, an official City of Smugglers Napoleon set up on the French coast to encourage English smugglers near the end of the Napoleonic Wars. The place plays a crucial role in my new book, The Unforgettable Mr. Darcy. You can also sign up for an international giveaway and read an excerpt from the novel! Just this week there are three different sites featuring Giveaways of President Darcy! Austenesque Reviews has a giveaway and a blog post about Finding the Perfect Darcy! So Little Time…has a giveaway, a blog post about the presidential limousine (nicknamed the Beast), and an excerpt! 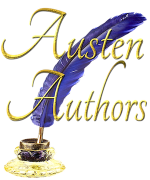 And at Austen Authors, I offer a giveaway, an excerpt, and a post about how a Regency Gentleman is like the President of the United States! Giveaways of A Very Darcy Christmas! I’m lucky enough to be a guest at three different blogs which are offering excerpts and giveaways of A Very Darcy Christmas. Check it out!